October 2016 – Christiansen, Ph.D. (photo left), serves as a licensed psychologist and in-house Rorschach expert at the Des Moines Pastoral Counseling Center. Eva also helps develop the Rorschach on a national level through her work with the Society for Personality Assessment. 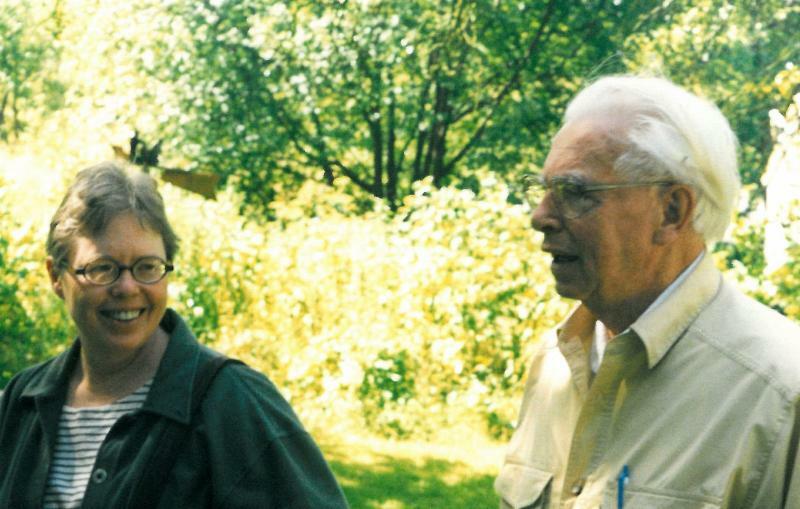 Eva’s strong interest in the Rorschach is inherited from her father, Dr. Olov Gardebring (photo right), a psychologist who presented at the very first meeting of the International Rorschach Society (IRS) in 1949 in Switzerland. Fifty years later, in 1999, IRS leaders invited Dr. Gardebring to return to their annual meeting (in Amsterdam) for another presentation. This time Eva joined him and was given the honor to introduce her father onto the stage. Recently, Eva helped her father celebrate his 98th birthday and she recalled the two times he presented at IRS meetings, and their shared interest in the Rorschach. The Rorschach is a psychological test in which subjects’ perceptions of inkblots are recorded and then analyzed using psychological interpretation, complex algorithms, or both. “The process involves a lot of interaction between the counselor and client,” said Eva. Note: this image is merely a graphic inkblot representation, it is not a real Rorschach image. 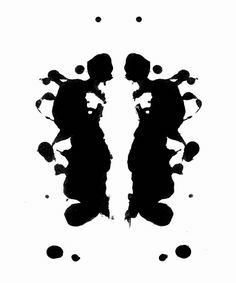 Practitioners prefer the actual Rorschach inkblots are used only in clinical settings. The Center couldn’t be more proud to have Eva — and her rich trove of knowledge — on our clinical roster, helping us to provide quality counseling services to the community. Last year, the Center’s testing team provided 860 hours of psychological testing for our clients, utilizing a variety of assessment tools. This entry was posted in News, Stories, Uncategorized on October 21, 2016 by Terri Speirs.